The former head of the secret service of the Pentagon said that during his career had seen many mysterious object of alien origin. Now the expert did not hide and called 5 signs that help to distinguish a real UFO from other objects. The former head of a secret Department of the Pentagon to search for UFOs Luis Elizondo says: “UFOs exhibit characteristics that do not currently exist in the military equipment of the United States or any other country. 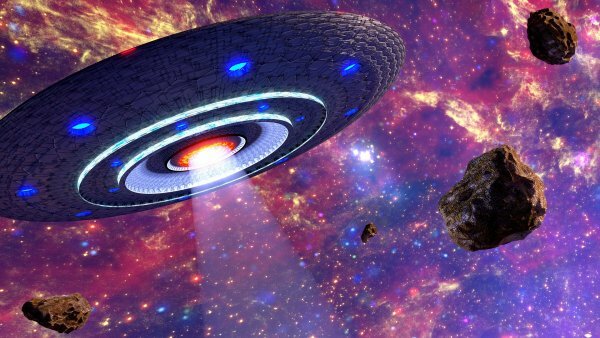 Alien objects are likely to have extreme maneuverability and greater speed.” The specialist also unveiled the 5 factors that will help to identify UFO from other objects in the sky. First, UFOs don’t use aerodynamic or thrust to stay in the air. Secondly, they are very maneuverable as any manmade flying device. Thirdly, UFOs fly with no sound and don’t have the noise of the engine. The fourth attribute is almost never possible to consider the shape of the object in the sky. The fifth feature – the ships humanoids can suddenly take off and instantaneously at speed to stop the movement.